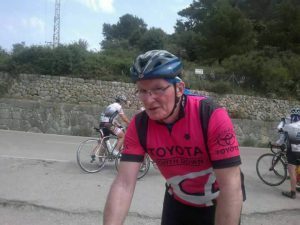 The world of Cycling and Triathlon are saddened this week by the death of North Down CC member Gary Swenarton from Bangor. Gary passed away on Wednesday evening in hospital following an accident at home on Monday, and condolences are sent to his wife Jeanette and their immediate family including regular Time Triallist and Masters Track champion Paul Swenarton. Gary was a stalwart North Down CC and Peninsula Triathlon Club. He will be sadly missed by all who had the pleasure of cycling with him. 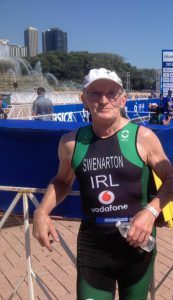 Gary first became involved in triathlon in the sport’s early days and was a long-serving member of the Triathlon Ireland Board and was a regular competitor, having represented Ireland at numerous ITU and ETU Championships. Following a private cremation, a funeral service to celebrate Gary’s life will be held on Monday (1st Aug) at 11.30am in Bangor Parish Church, which is at the junction of Hamilton Road and Castle Street.